Set in London in the 1870s, Affinity is the story of Margaret Prior and Selina Dawes. Margaret Prior becomes a Lady Visitor at Millbank Prison: she visits female prisoners so that her attention and her example may help reform them – or so the official rationale goes. Selina Dawes is a prisoner she takes a special interest in—she was once a young rising start in the Spiritualism movement, until she fell in disgrace and was imprisoned for fraud and assault. But even at Millbank, Selina continues to say that she is regularly visited by her spirit friends. As the story advances, we learn more about Margaret and her past—about her father’s death, about the nature of the “illness” she is recovering from, about her involvement with the woman who is now married to her brother (this is obvious from the beginning, so worry not, I’m not spoiling anything). The story is mostly told from her point of view, but there are little excerpts from what we presume to be Selina’s diary, and which slowly reveal the truth behind her imprisonment. As time passes, the two of them grow closer and closer, and the book moves towards its heartbreaking conclusion. Because I’m sure someone is going to ask, I might as well tell you: no, Affinity was not quite up there with Fingersmith for me. All the same, it cemented Sarah Waters’ newfound place among my favourite authors. The main reason why I wouldn’t praise it as highly as Fingersmith is because it wasn’t as satisfying plot-wise. But like I’ve said before, I’m actually more of a character-oriented reader. Yet Fingersmith had everything, including a perfect plot. Affinity has excellent characterization, lovely atmospheric writing, and a good (if not perfect) plot. And you know, I wouldn’t have been expecting a perfect plot to begin with if it hadn’t been for Fingersmith. It seems silly to speak of it, even, but I think this says something about just how good Sarah Waters is. I could more or less see the ending of Affinity coming. Not the details, but its general shape. But that didn’t at all lessen its emotional impact on me, and in the end that’s what I really care about. I didn't want Affinity to end, but at the same time I was glad to turn the last page. All because Margaret’s despair was beginning to suffocate me. This is true all throughout the book, but the ending in particular…poor Margaret. My heart broke for her. She had my full sympathy. And more than that, Sarah Waters really made me imagine what it would have been like to be her. That's what was so difficult to take. I often feel this way when I read about Victorian women, but Affinity conveys their complete suffocation particularly well. It must have been maddening, to be completely constrained and controlled: not only by social circumstances, but also by the threat of madness. Margaret is a highly intelligent woman. She is almost thirty, and she is unmarried. When the story begins, her younger sister Priscilla is about to get married, and Margaret knows she will be left alone in the house with a mother with whom she does not get along. Before her father, a renaissance scholar, passed away, she used to help him with his research. After his death—well, I won’t tell you everything that happened, but let us just say that her family still considers her “unstable”. Imagine that – the label “spinster”, having intellectual interests which you are not allowed to pursue on your own, knowing you will be declared mad if you express emotions deemed inappropriate. And on top of that, imagine being gay—something that would be considered a symptom of madness, or worse, in itself. Imagine having to choke down everything that you feel. Imagine the weight of it all. Affinity gets that weight across perfectly. There have come fogs, too-yellow fogs and brown fogs, and fogs so black they might be liquid soot-fogs that seem to rise from the pavements as if brewed in the sewers in diabolical engines. They stain our clothes, they fill our lungs and make us cough, they press against out windows-if you watch, in a certain light, you may see them seeping into evening darkness now, at three or four o’clock, and when Vigers lights the lamps the flames are chocked, and burn quite dim. I just love her writing. There’s a lot more I could say – about Selina Dawnes, about Victorian spiritualism, about life at Millbanks Prison – but hopefully I’ve said enough to intrigue you. Sarah Waters continues to impress me. I have a feeling that before the end of the year I’ll have read all her books. And then I’ll cry because she hasn’t written any more yet. She shook her head, and closed her eyes. I felt her weariness then, and with it, my own. I felt it dark and heavy upon me, darker and heavier than any drug they ever gave me—it seemed heavy as death. I looked at the bed. I have seemed to see our kisses there sometimes, I’ve seen them hanging in the curtains, like bats, ready to swoop. Now, I thought, I might jolt the post and they would only fall, and shatter, and turn to powder. I am waiting, for her—but, waiting, I think, is too poor a word for it. I am engaged with the substance of the minutes as they pass. I feel the surface of my flesh stir—it is like the surface of the sea that knows the moon is drawing near it. I'm looking forward to Fingersmith, which i plan to read for the GLBT Challenge. It pains me to have to wait until July, but I must! Sarah Waters is fantastic. I have this one on my shelf. Even if it's not as good as Fingersmith, I'm looking forward to it. I have not read anything by Sarah Waters, but your blogging has inspired me to put her on my TBR list! Thanks! 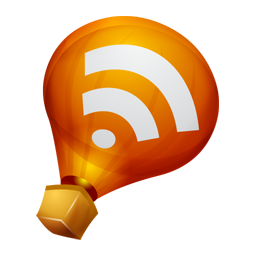 You are preaching of course to the converted in me (I too LOVE Sarah Waters) but I still had to post to say great blog! So far is it only Fingersmith and Affinity you have read? Also to express how much I much I am chomping at the bit for The Little Stranger to drop through my letterbox. Speaking of trapped women in their gender and in madness, have you read The Yellow Wallpaper by Charlotte Perkins Gilman? Also Gothic, thrilling, and very simililarly themed(although not as good as TYW) is The Victorian Chaise-longue by Marghanita Laski. This was my first Sarah Waters... I thought it was pretty wonderful, too... with a completely heartbreaking end. I recently saw the TV movie version (on the gay TV channel, I forget what it's called) and had forgotten the ending, which was still surprising and so sad. You capture the heaviness that is expressed, so well. I was also a little disappointed in this book and agree it did not hold a candle to Fingersmith. Tipping the Velvet is on my TBR shelf so I am going to get to that soon. We'll see. "...but hopefully I’ve said enough to intrigue you." Well, yes, my dear, you most certainly did! I have yet to read a book by Waters, but I aready have one on my TBR pile. This one looks like a good read too, and so well written! I have Affinity and Fingersmith in my book cabinet and have not had time to read either. I wish there were more hours in the day. It seems everyone is talking about Sarah Waters at the moment and yet I still don't have any of her books. Your thoughts on the suffocation of Victorian women have really sparked my interest, this may have to go on the bookmooch list. Great review! This is something I'll have to pick up. On another note, I can't believe you haven't read Ella Enchanted yet!!! I've this book in my pile, as well as Fingersmith and The Little Stranger. I'm still debating what I should read first, but I think I know which you'd recommend, hehe. Fingersmith is on my list because of you so I'm going to read that one first for sure. I enjoyed what you had to say about Affinity and so I marked it to read for sometime in the future. Did I mention already that I picked up Fingersmith this past weekend? Now I just have to find the time to squeeze it in. You've really made me want to pick this one up as well, but I kind of spread out authors that I really love. I still have a few Atwood books on the shelf because I don't want to outread her writing! Silly, huh? Even though it was kind of a negative emotion, I love how you describe Margaret's despair as suffocating you. Takes great writing to evoke such powerful emotions. Not another Sarah Waters book to read!! I haven't read Fingersmith yet! But I will and soon! Those pasages are just beautfiul! I want to dive into her writing right away. Excited! Oh, this sounds good. I've already got Fingersmith on my wishlist thanks to you... looks like I'll have to go add this one to keep it company. Sigh ... yet another author on my radar I haven't read yet. Amanda: I think I'll read Tipping the Velvet and/or Night Watch for the challenge. I can't get enough of Sarah Waters! Sue F: You have some great reading ahead of you! Paperback Reader: Yes, I've only read these two. I can't believe it took me so long to discover her! And I also haven't read any of those two, but I shall look for them! Daphne: I still get sad whenever I think of the ending :( Poor Margaret. I really wanted her to get a chance to be happy. Jaime: You know, even though it wasn't quite as good I don't think I was actually disappointed. There was so much about it I loved still. Marie: Her writing is stunning! Scrap Girl: Me too, me too. Jodie: I hope you manage to mooch a copy soon! She conveys it so well. Claire: I think you would! Melody: What makes you say that? ;) And you already have The Little Stranger! Lucky! Staci: Both are very much worth it! Trish: yay! I don't think you had, but I'm thrilled to hear it :D Fingersmith is actually a quick read even though it's a chunkster. And it's not silly that you try to spread out your favourite authors. That's the reason why I still haven't read all of Terry Pratchett's non-Discworld books. I love knowing there's something left for me to discover. Chris: I hope you love her! You soooo have to read Fingersmith for RIP! Alice: It really is, isn't it? She writes sentences that take my breath away. Maree: I really think you'd enjoy her books! this sounds really good nymeth, great review! I need to add Fingersmith to my TBR too. I like the passages you posted. Great review. This looks really interesting. Hi Nymeth! Fingersmith is one of my favourite books...I think Sarah Waters is amazing. I read it after I read Tipping The Velvet, which was recommended to me by a friend. I liked Tipping, it was a colourfl read and interesting, but Fingersmith is by far the better of the two. I havent wanted to read Affinity because I KNOW it won't be as good. but you've given me something to think about with that review. Right now I'm reading The Keep by Jennifer Egan, so I may be in the mood for more Gothic fiction afterwards! I just signed up for the GLBT Challenge and will definitely be reading some Sarah Waters. Your reviews really got my attention. Maybe I will save Fingersmith for last so I am no disappointed by her other novels. I've heard so much about this author but just have never picked her up yet. I think I'll have to give her a try but I'll start with Fingersmith. Great review! Yes, the plot of Fingersmith is so brilliant, this can't quite compare but it's still pretty great. It's been a few years since I read Affinity but I still remember that I loved the dark, oppressive atmosphere you mentioned in your review. I keep saying this but I really need to finally read The Night Watch. Later this year, maybe. 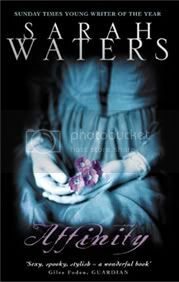 Since reading Fingersmith I have slowly collected all of Waters' books. I have not yet read this one, but I am really glad you liked it. Now I know that I have another excellent read waiting for me. Thanks! I've not read Fingersmith yet so I can't compare but I just loved Affinity. I quite liked Tipping the Velvet too. I think she's a fabulous writer and of course am now looking forward to her new book. So, do you know which will be your next Waters novel? Excellent review; couldn't agree more. Fingersmith remains my favorite Waters, with Tipping close behind. I haven't yet started The Little Stranger - I think part of me is afraid it won't be as good as I've come to expect from her, and I'd rather not risk it! I have finished reading the novel today and I have greatly enjoyed it (or rather suffered through it XD ). I have to disagree with your interpretation of the character of Margaret and her problems. Her main problem is that she isn't a strong woman. While her sister, Helen, most of prison guards and Selina are strong women, Margaret is weak. Like in Shinji Ikari weak. I'd disagree that she's highly intelligent - she consistently shows poor judgement and consistently disregards better judgements of other, probably more intelligent people. Similarly, she negatively judges a lot of other peeple without much basis in reality.